Separately, French utility company EDF, which plans to build a new nuclear plant at Hinkley Point in Somerset - and is providing most of the financing for the £18bn project - is holding a board meeting on Thursday (28 July) at which it is expected to approve the investment. 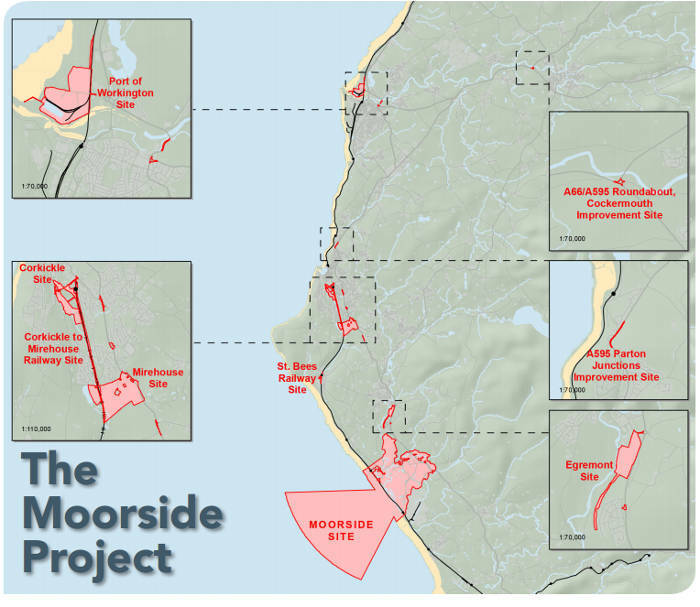 Copeland has submitted its formal response to a consultation on NuGen’s Moorside project to build a nuclear power station to the north and west of the Sellafield site. It said it ‘continues to support the project in principle, as it recognises the considerable social and economic benefits that can be realised for the whole of the borough’. However, the council said it has ‘also made it clear that Copeland must see positive legacy benefits emanating from this project, including appropriate investment in infrastructure and community facilities’. The council is a statutory consultee in the planning process for the project, which has been designated a nationally significant infrastructure project (NSIP). The planning decision will ultimately rest with the communities secretary and the Planning Inspectorate. The council said it has to date worked closely with NuGen and Cumbria CC on the project and will continue to do so. NuGen is a joint venture between Toshiba and ENGIE. ‘Together with the Cumbria Local Enterprise Partnership, and as part of the centre of nuclear excellence, the council recognises the vital role that the nuclear industry has in the Cumbrian and national economy,’ the council said. Mike Starkie, mayor of Copeland, said: ‘While we are broadly supportive of the project and recognise the considerable social and economic benefits that could be realised, there exist a number of key areas of concern that need to be highlighted at this stage, to ensure that these are addressed before NuGen progresses with their application. Last week, Cumbria CC backed plans for the power station, but demanded investment in the county’s roads and infrastructure in return, to deal with 'significant traffic increases'.